Unbelievably cheap rent for a turn key beach location. 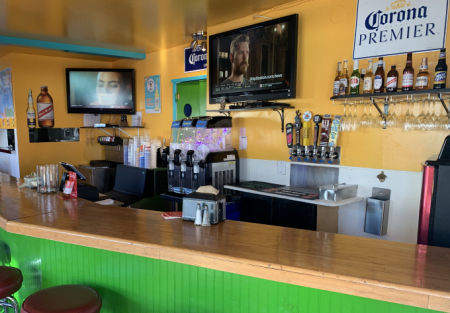 Sellers have just completed a nice renovation, restaurant looks and feels exactly like you would want for a restaurant 30 seconds from the surf and sand of the Pacific ocean. Constant crowds at your neighbor, the Belmont park.Outstanding beach area restaurant , large patio dining with beer and wine license! Go to Selling Restaurants dot com and search for listing 5410 and you'll get teh name of this restaurant. If you have a better idea bring it on, this is the turnkey location you have been dreaming of. Kitchen is well stocked with dual deep fryers, salamander, flat top grill, cold prep table and 6 ft hood system with fire suppression. This place will be packed all summer long. Busy season is approaching fast; capitalize on this rare opportunity before it is too late. All this for a rent of $2500 per month!